Ask A Cornerstone MARKET EXPERT! DESCRIPTION *HUGE PIE LOT*MOVE IN NOW*Amazing Design with SIDE ENTRY! Unique in Features! All that a Single Family Home has to offer & More! Creating a Stylish lifestyle offering space for a Rear Detached Garage allowing you to truly enjoy a beautiful Front Exterior w/ a lovely Bank of Windows overlooking the front walk.You are welcomed to an abundant & thoughtfully planned 1700+ sqft of designed Living Space to Maximized your life!The Gorgeous Great Room just past the Main Floor DEN/ 4TH BEDROOM opens up to a beautiful Kitchen offering ample Counters,Stainless Steel WHIRLPOOL upgraded appliances including French Door Refrigerator w/Ice Maker & Glass Top Convection Range, Silgranite sink, Rock Salt QUARTZ Counters, spacious Pantry, beautiful extended Flush Counter & Dining Area-Ideal for all entertaining.You will discover 3 Bedrooms on the Upper level w/the Master boasting a 3pc en suite w/ walk-in closet & Laundry. A beautiful new, up & coming neighborhood offering stunning design. Check and Compare! Home for sale at 216 Cornerstone Ps Ne Calgary, Alberts T3N 1G2. 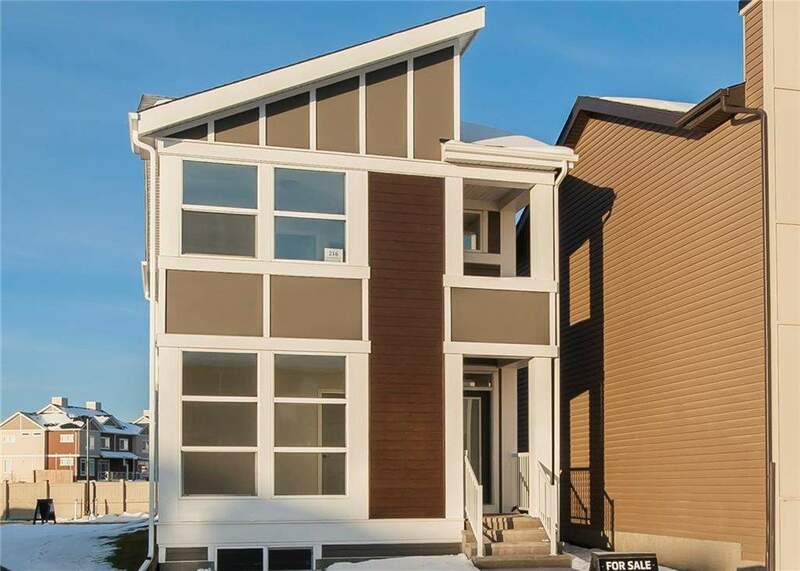 Description: The home at 216 Cornerstone Ps Ne Calgary, Alberta T3N 1G2 with the MLS® Number C4199324 is currently listed at $429,900.